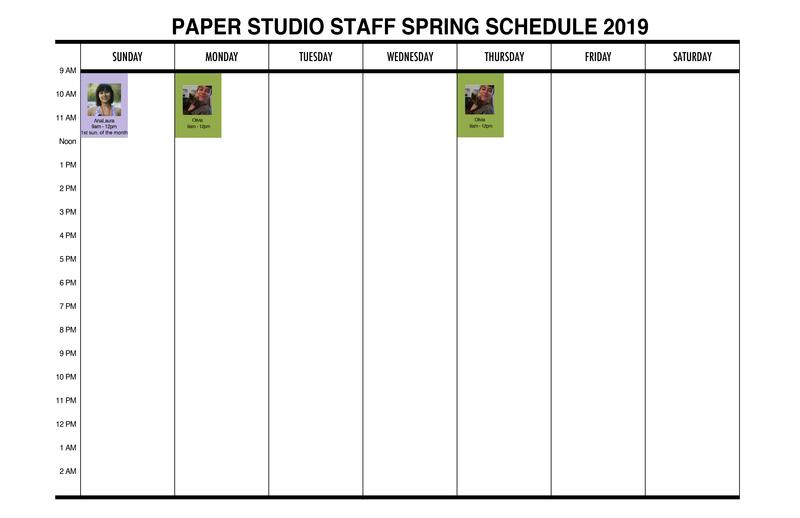 The Papermaking Studio features two separate workspaces for students to create Western and Japanese paper, cast paper, and large sheets of paper, as well as the equipment necessary for working with botanicals, making paper from fabric or linters or recycled paper. Students need to provide their own fiber and pulp, and the basic chemicals and studio materials are supplied by the Paper Studio. In the Wet Room, there is a Reina beater, and a Valley beater, a Reina Paper Press, and a 4' x 6' Reina Vacuum Table, a pulp sprayer, stove, refrigerator, felts, heated metal sheet dryer, and vats and paper moulds of various sizes. In the Dry Room, there is dry mount press, a large worktable, flat files, and a restraint drying system. Students must be currently enrolled in a Papermaking class, or have submitted a Personal Proposal and a signed copy of the Papermaking Rules & Regulations, along with a copy of their fee statement to the Printshop Coordinator. Proposal, Forms, Safety Video, etc. are found below. 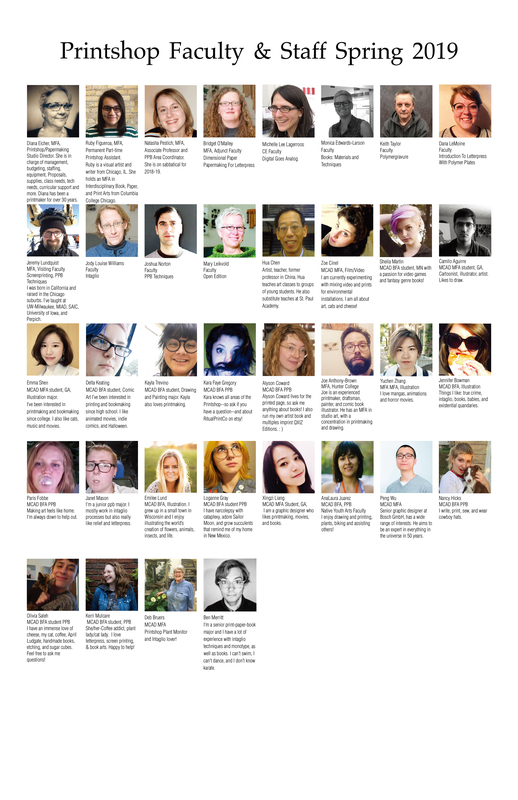 MCAD Faculty and Staff using the Paper Studio need to fill out the necessary forms and pay a $40 per semester supply fee. The Printshop is closed over break times to all students and there is also no access during break times for Jerome or McKnight Fellows. Making Large Sheets of Paper in the Papermaking Class from MCAD on Vimeo.